The district of Chelsea in New York City is probably one of the most charming Manhattan neighborhoods. In this article, we are going to explore Chelsea restaurants, so you can check out where you can have a nice meal while visiting amazing galleries in this lovely area. 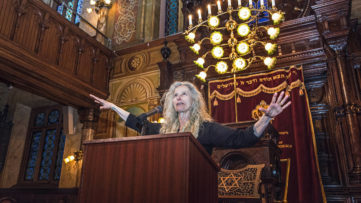 Located on the west side of the most famous island in the world, Chelsea lies between the Avenue of the Americas (Sixth Avenue) and Seventh Avenue – to the east, and the Hudson River and West Street to the west. Chelsea is home to many New York City famous landmarks, such as Chelsea Market, Hudson River Park, and many others. 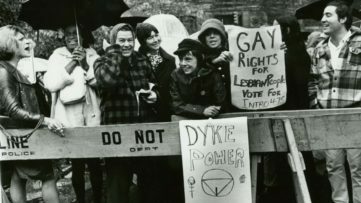 This famous part of Manhattan is also famous for its multiculturalism, large LGBT community and LGBT culture. Chelsea is a home to some 200 galleries. Since the mid-1990s, Chelsea has become a center of the New York art world, as art galleries moved there from SoHo. Some of the best New York City galleries are located in Chelsea. Let’s just mention Agora Gallery, Anna Zorina Gallery and De Buck Gallery. The number of galleries and art spaces in Chelsea is truly impressive. While wandering the streets of this amazing neighborhood, you will also see a large number of great restaurants. 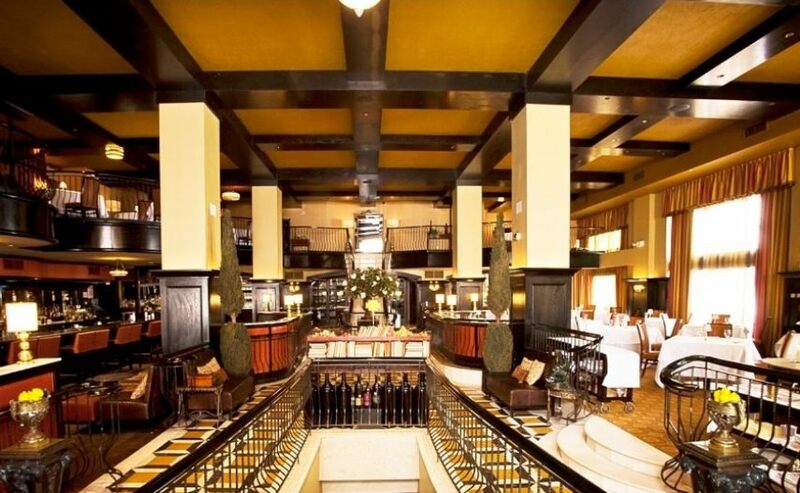 There is something for everyone, and in Chelsea you can find aan amazing variety of cuisines. Here, we are going to present ten restaurants you should check out while you are visiting New York City Chelsea gallery district. 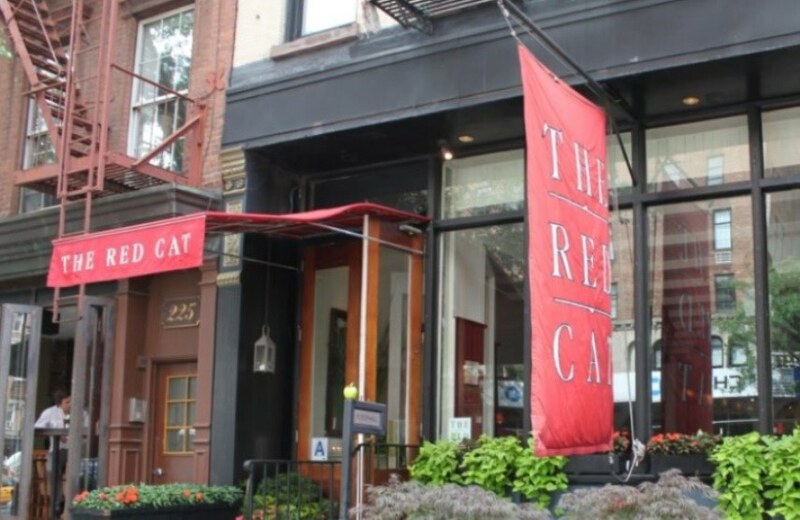 The Red Cat is located at Tenth Ave. (between 23rd and 24th streets in Chelsea). It’s reachable by subway (lines C and E), or you can just walk. Opened in 1999, the restaurant is specialized in American-inspired cuisine (however, it’s not the only cuisine served in this Chelsea restaurant). The Red Cat was a pioneer in bar dining, and continues to offer guests a regular a la carte menu as well as a host of seasonal dishes crafted exclusively for bar patrons. For all wine-lovers, we should mention that the restaurant’s wine list includes more than 125 selections from major wine making regions around the world. 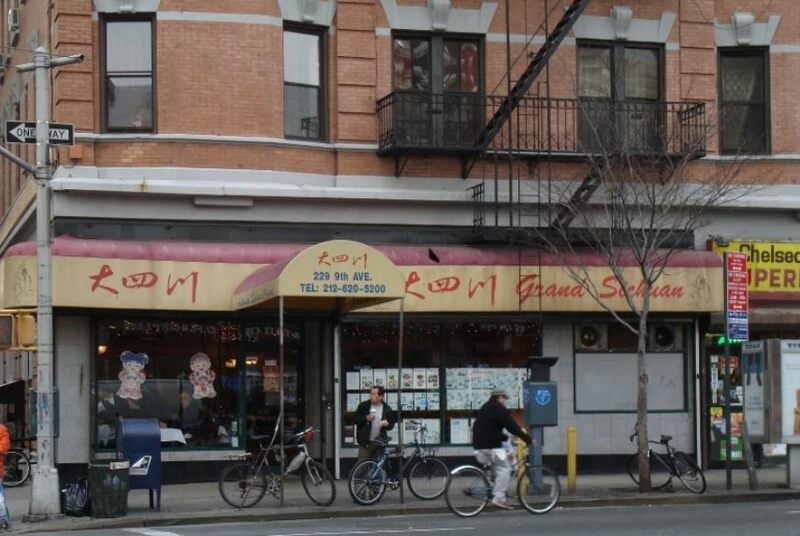 Grand Sichuan is one of the most popular Chinese restaurants in New York City. It’s famous for its amazing Sichuan and Hunan food. Some of the specialties of the house include sour stringbeans with minced pork and tea-smoked duck. However, in Grand Sichuan you can enjoy all kinds of Chinese food. So, if you like East-Asian cuisine, and you are nearby, Grand Sichuan is the place for you. The restaurant is located on the Ninth Avenue. Ovest Pizzoteca is located in West Chelsea, and it is typical Naples-style dining place, with an amazing offer of Italian wines. It’s located in the heart of the gallery district and it is quite popular among art and fashion people. Wood and brick oven pizza, homemade pasta and authentic panini are some of the specialties of the house. The atmosphere is quite relaxing. 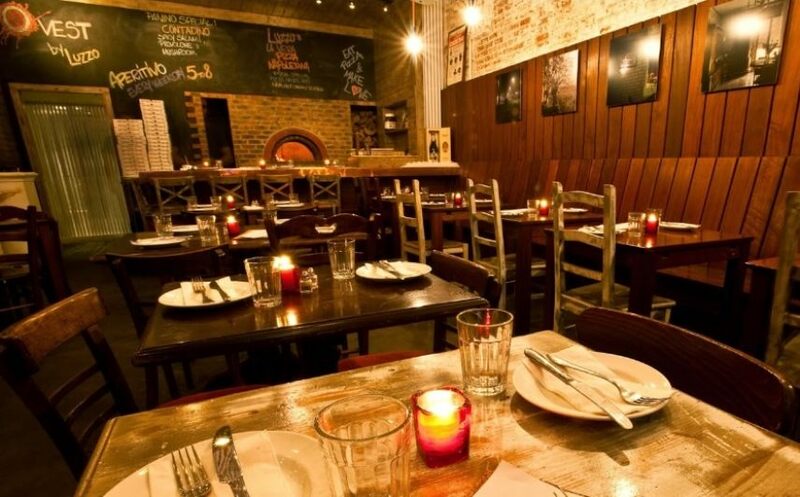 The restaurant itself is located in a building with Chelsea-like industrial brick walls and high ceilings. It’s open Monday through Sunday noon to midnight. If you like Spanish cuisine, Tia Pol is a place for you. 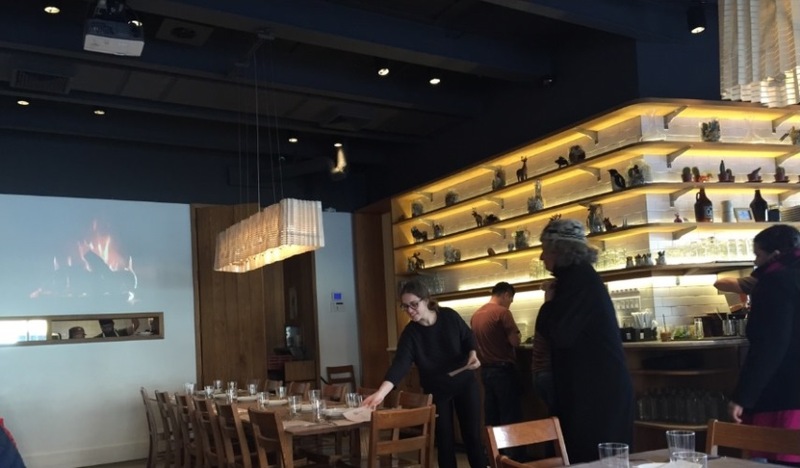 This lovely restaurant, owned by Heather Belz and Mani Dawes, opened in 2004. It’s well-known for famous Spanish Tapas from the richly varied regional cuisines of Spain from Galicia to Andalucía, the Basque Country to Cataluña. Apart from amazing food from Spain, here you can find all sorts of Spanish wines. 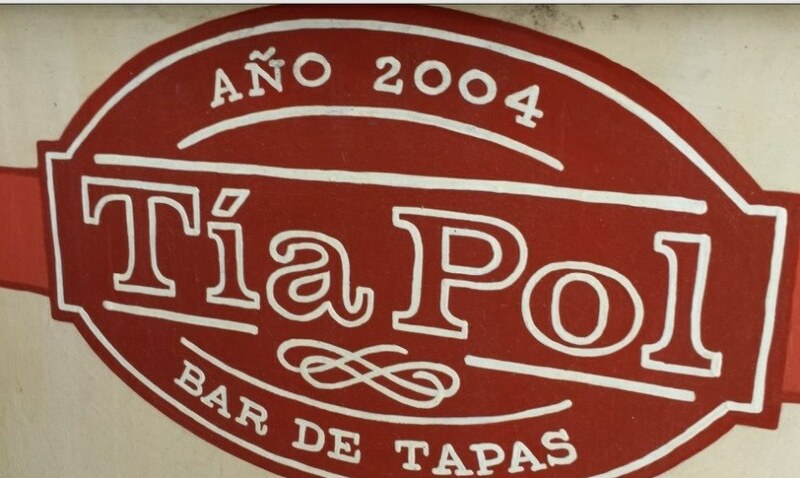 If you want to feel the magic of Spain in the middle of Manhattan, than Tia Pol is the place for you. Trestle on Tenth restaurant is located in the heart of the Chelsea gallery district. This place is inspired by the fields, mountains, forests and sees of central Europe. Here, you can breakfast, brunch, lunch or dinner in a lovely private garden. Apart from amazing food, Trestle on Tenth is acclaimed for its terrific wine list. Izakaya Ten is probably the best Japanese restaurant in Chelsea. It is known for traditional Japanese pub food with a menu that offers small and larger plates. When it comes to drinks, sake and shochu are at the forefront of the restaurant’s offerings, but there is a little bit of everything including distinctive liquors, freshly made cocktails and wine. Located on Tenth Avenue, it’s quite near famous gallery district. Co. was opened in 2009 by Jim Lahey. 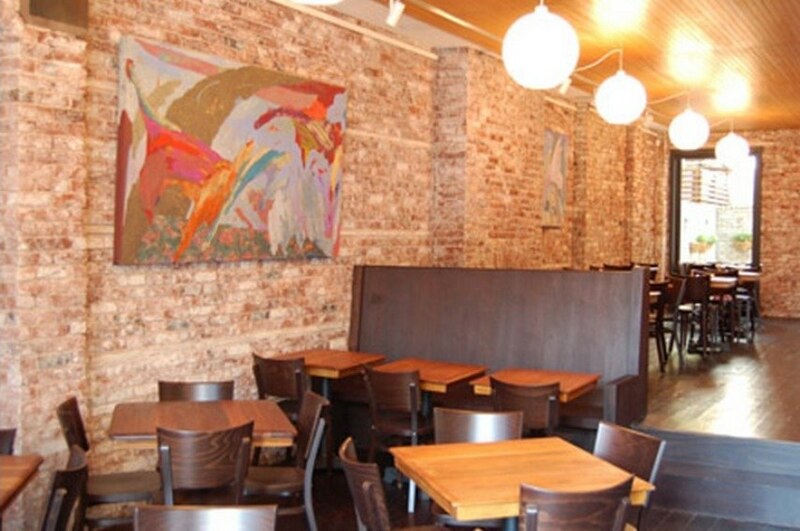 The restaurant is specializes artisanal food culture and communal dining. With bread as the centerpiece of the meal, Co. features a variety of toasts, soup, salads, artisanal meats and cheeses, and, of course, pizza. Co. has been featured in Food & Wine, Travel + Leisure, GQ, The New York Times, New York Magazine, The New Yorker, and Time Out NewYork, among other print and online publications. Be sure to make a reservation before visiting this amazing Chelsea restaurant. Just a few steps from the vibrant West Chelsea gallery scene, Bottino has been an art world dining institution since 1996. Bottino is the spot for lunch or cocktails after the galleries, or an intimate dinner with friends and family. The restaurant offers classic and eclectic Tuscan Italian cooking and a boutique wine selection in striking mid-century modern decor. 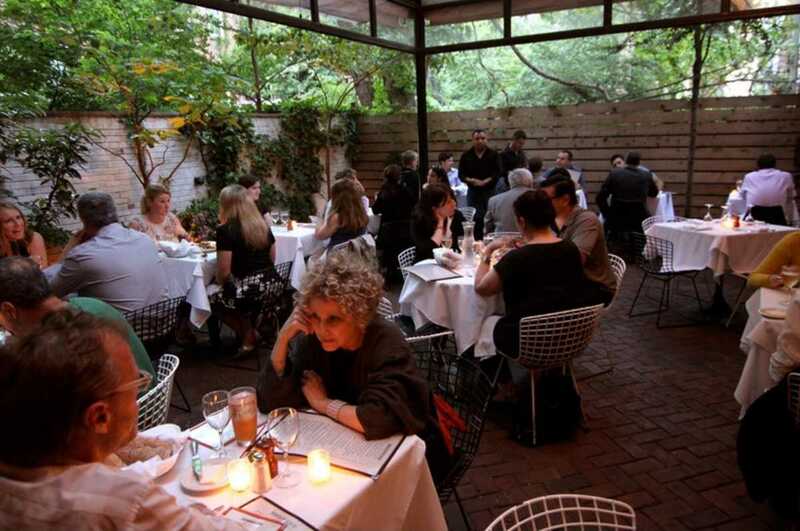 It has a beautiful garden and patio, and it’s a perfect place for a great meal after the walk through the gallery district. Del Posto is one of the best Italian restaurants in New York City. In October of 2010, Del Posto received a glowing four-star review from The New York Times, the first Italian restaurant to do so in nearly 40 years. At Del Posto, you will find amazing Italian cuisine, as well as great wine list. 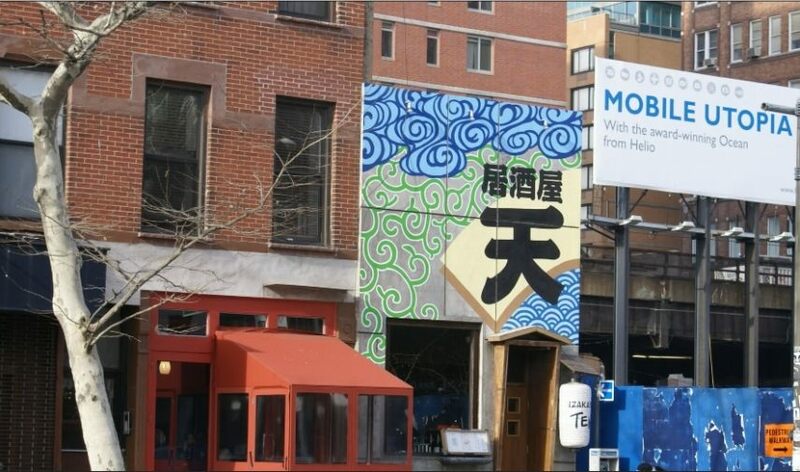 It’s located on the Tenth Avenue, and you can reach the restaurant by subway (lines A, C, E or L, 14th Street station). 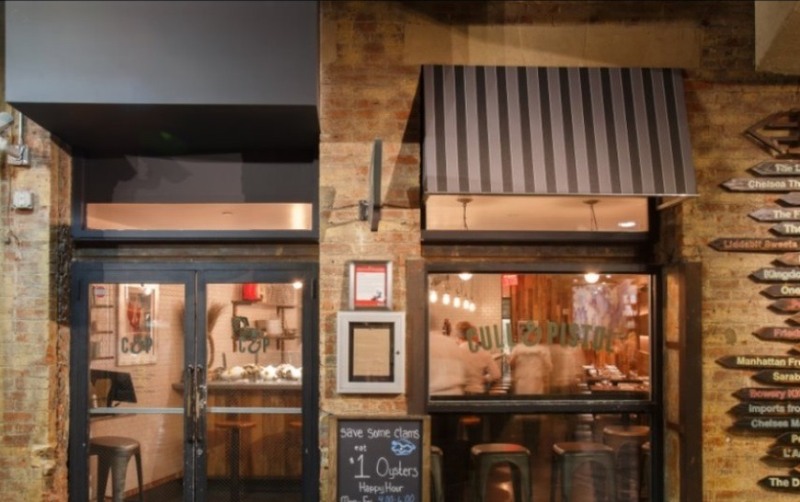 Cull & Pistol Oyster Bar is the Lobster Place’s first full-service restaurant, located next door to the Lobster Place Seafood Market inside New York’s famed Chelsea Market. The seasonal menu at Cull & Pistol takes full advantage of the remarkably fresh and varied offerings of the Lobster Place. When it comes to drinks, here you will find an excellent variety of wine, craft beers and cocktails. 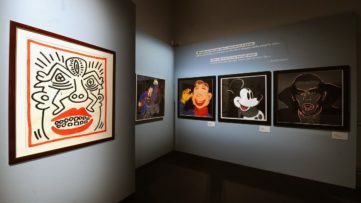 Sign up for My Widewalls, and be informed about new developments in the world of contemporary art! It’s free of charge!